I love watching the Olympics. It's cool to see the best athletes in the world compete in fun, weird, and exciting sports. And I'm always amazed at how close their results are. Gold medals are often decided by a hundredth of a second. As my wife and I started watching the Olympics on TV last week, we quickly noticed that there were a lot of commercial breaks during NBC's nightly prime time coverage (NBC is the TV network that broadcasts the Olympics in the U.S.). It seemed like there was a commercial break every 5 minutes. We started wondering how many commercials we were watching. I analyzed a recording of NBC's prime time coverage on Thursday August 11th 2016 from 8pm to 12am. That's a 4 hour TV program of the most popular events that happened that day in Rio. I created a simple data set that listed the start time of each change between Olympic coverage and commercial breaks. I then used formulas to determine the end time and duration of each segment (Olympics & commercials). The following dashboard highlights some of the metrics I found interesting. I created a simple pivot table and added a few calculations for sum, percentage of column total, count, and average. 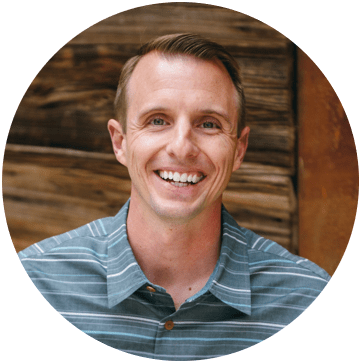 Checkout my 3 part video series on pivot tables and dashboards that has step-by-step instructions on how to create pivot tables with these metrics. My initial assumption was wrong. Instead of every 5 minutes, there were actually commercial breaks every 6 minutes and 38 seconds (on average). Each commercial break lasts about 2 minutes and 18 seconds. During 4 hours of TV coverage there were 26 commercial breaks. That's an average of about 7 breaks per hour. The longest segments of Olympics coverage came at the beginning and end of the program. The shortest segment of coverage was 43 seconds and the longest commercial break was 4 minutes and 54 seconds. I won't be able to explain every chart and calculation in this one article. However, you can download the file to learn more about how it all works. 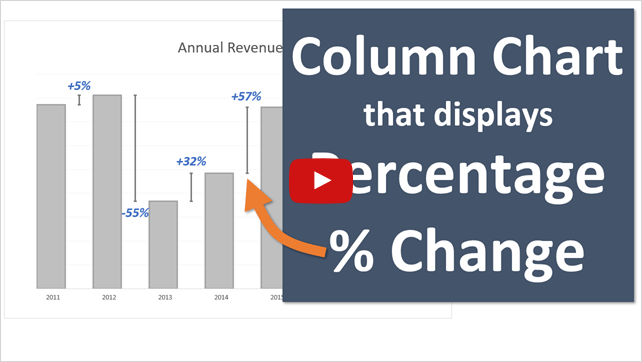 My 3 part video series on pivot tables and dashboards explains how to create interactive dashboards with pivot tables, charts, and slicers. Most of the metrics in this data set and dashboard are about time. In my article and video on the date system in Excel, I explain that each day on the calendar is represented by one whole number. This means that times in Excel are a fraction of a day, or a fraction of 1. So an hour is represented by the fraction 1/24, since there are 24 hours in a day. A minute is represented by the fraction 1/24/60, since there are 60 minutes in an hour. A second is represented by the fraction 1/24/60/60, since there are 60 seconds in a minute. We can then use formatting to display these decimal numbers as hours, minutes, and seconds. The basic number format for time is h:mm:ss. This format can be found in the Custom category on Number Format menu in Excel. My article on how to group times in Excel explains 3 ways to summarize times for reporting with pivot tables and formulas. What Do You Think About the Commercials? I hope you've seen how we can create a dashboard from just about any data set in Excel. This entire dashboard was created from one list of time values. When I first started watching the Olympic coverage, I was honestly surprised at how many commercials breaks there were. My wife and I cut the cord on cable over 3 years ago, and we haven't watched many commercials since. So this probably contributed to our shock. However, I've come to realize that producing a program like this is a massive undertaking. In my opinion, NBC's coverage of the Olympics is absolutely fantastic. If you think about all the cameras, crew, and commentators they have, and the way they bring this all together, you realize that it must cost A LOT to produce this event. All-in-all we have been thoroughly entertained with the coverage. Plus, we have really enjoyed some of the commercials. The series by AT&T with the family that loses their internet connection is great. Funny and true! Great dashboard – and commercial breaks under 2.5 minutes though that is still 15 minutes per hour. I suppose that is what pays for the channel to exist and I bet they charge a lot for adverts during peak events. Yes – we are lucky in the UK with the BBC to have excellent coverage advert free – they even delay other programmes if an event goes on a little longer (especially when Team GB still has interest like the cycling the other evening when the news was delay for over 35 minutes). Nice dashboard but 6.6 and 2.3 in the circles do not correspond to calculations and your narrative. It would be better to make them dynamic by linking to calculations. Thanks for the suggestion Leonid. I put the min:sec numbers under the circles because I felt the decimal numbers might be confusing on their own. It might be better to have 6:18 in the circle with (min:sec) right below it. I like the idea of linking the shapes to the calcs too. As always, great data to use for your latest example for developing dashboards. I have reviewed and saved a few of your dashboard examples and share them with my students. They too are impressed with your dashboard skills. Thanks for sharing Karen! 🙂 I’m happy to hear your students are learning dashboard skills. These skills are definitely in high demand by employers. Thanks Jon! This is helpful! I’m creating an Olympic themed dashboard for a contest with my company, so this came at the right time! Awesome! Thanks Char! If you’d like, send me your dashboard when you are finished and I will post a pic of it here. I agree with the number of commercials. I watch the live streams on nbcolympics.com and that feels like a lot of commercials too. I have been working on an Olympics dashboard as well. Collecting data on results from the web has been a challenge. Will post it soon. You can’t escape them on the NBC platforms. They have done a really good job of that. 🙂 Looking forward to seeing your dashboard too. Feel free to post a link here. Thanks Indzara! How does the number of commercials and minutes per commercial compare to an average weeknight show or to another network? Would be interesting to compare to other big events too, like the Super Bowl. I’m pretty sure they are allowed to have 8 minutes of commercials per half hour – thus 22 mins of content. Maybe the FCC regulates over-the-air broadcasts? You should move to the UK during the Olympics, no adverts at all on the BBC, although a lot of it is on in the middle of the night.